Pond Skaters is a work created by Thomas Hauert in 2013 with Toronto Dance Theatre and ZOO in the frame of the “Brussels/Toronto Project”. It was nominated in the category “Outstanding choreography” at the Dora Awards 2013 presented by the Toronto Alliance for the Performing Arts. Pond Skaters is a dance composition of improvisational structures. Certain movement qualities and ways to relate to the other performers, the music and the space have been developed in the creation process. These interactions are based on an extreme state of sensitivity and concentration combined with creativity, musicality and physicality. The course of the piece and many parameters within it are precisely set but none of the actual movement is. The dancers on stage are responsible for inventing and performing their own material as well as for initiating and developing group structures in the moment. They have to adapt individual roles within a dynamic group constellation whose mechanics are constantly changing. This procedure enables the dancers to tap into the unconscious processes that allow the enormous creative potential of their body in motion to unfold. 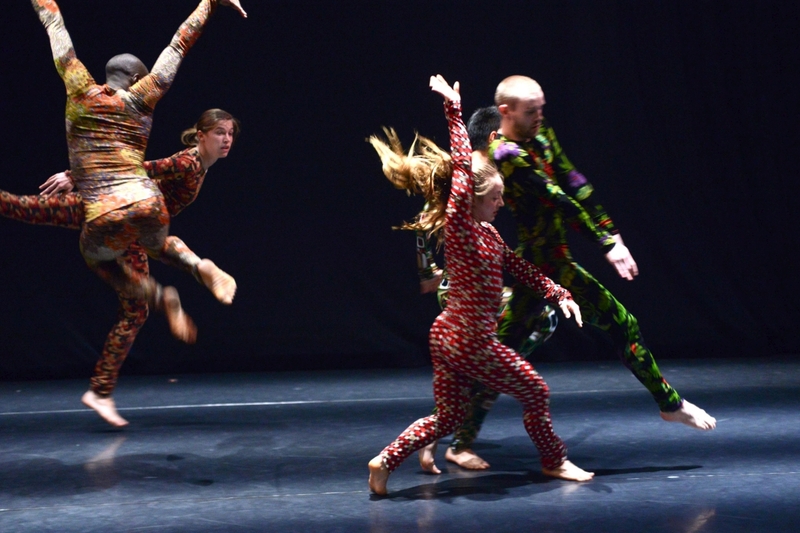 Toronto Dance Theatre is one of Canada’s leading dance companies. Founded in 1968, and under the artistic direction of Christopher House since 1994, it has produced a remarkable body of original choreography. The company has had -and continues to have– a profound influence on the development of dance in Canada. Under House’s direction, the company has also opened its doors to collaborations with international artists like Deborah Hay.